This new book series, published by Waxmann Verlag, investigates music making in the context of migration, where migration is understood as a collective term for different kinds of migration, encompassing, for instance, work- or education-related migration or refugee movements. It is part of the inter-university research initiative "Music and Migration", which was launched by Nils Grosch (Paris Lodron University Salzburg) and Wolfgang Gratzer (University Mozarteum Salzburg) in 2016. Music and migration have more in common than might be obvious at first glance. Even in Salzburg. The volume Salzburg: Sounds of Migration familiarizes the reader not only with the long history of the interdependency between music and migration but also with current initiatives for musical encounters and people, currently living in Salzburg, whose music interacts with paths of live and itineraries, which have been affected by migration. Buy here: Gratzer, Wolfgang et al. (ed.). Salzburg: Sounds of Migration. Geschichte und aktuelle Perspektiven. Veröffentlichungen zur Geschichte der Universität Mozarteum Salzburg 8. Wien: Hollitzer Verlag, 2018. The entry into exile requires not only the engagement with new ways of thinking but also the creativity of migrants. Simultanouesly, however, it also challenges and stimulates the host society. In the context of prosesses constructing identities, music is primarily seen as an anchor, a marker of stability. Due to its nature, it was the first choice to mark mobile, dynamic, and, last but not least migrant, cultural identities. The investigation of interactive musical processes in migration studies and the indexing of sources, which enable academic access to such historical processes in the first place, make a culturally and politically important mission. In 2014, the Music and Migration Collection was founded in Salzburg through endowments. It continues to grow and produces new lines of investigatioins - of which this volume presents a small selection. Movilidad cultural, exilio y el desafío para la musicología. This paper explores the prospects of the cultural mobility paradigm for music exile studies. 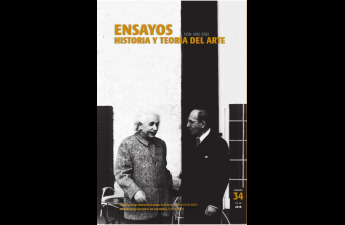 In discussing the case of musicologist Alfred Einstein’s career and his writings in exile, it highlights his venture to read European music history as mobile. Starting from Einstein’s criticisms and conceptualizing it as mobile from scratch, it tackles the routines of musicology in localizing music and its unquestioned discourse, framing these observations in Greenblatt’s criticism of fixity in culture, the basis of his manifesto on cultural mobility. Wolfgang A. Mozart allegedly travelled up to 25,000 kilometers on his concert tours until his 25th birthday - approximately half the equator's circumference. Considering the cumbersome nature of travelling at the time, it has always been part of musical life since the early modern age - with massive impact on works and biographies. From early touring minstrel troupes until today, the required mobility - with all its advantages and disadvantages for the arts community from conductors to opera singers to manager to journalists - remains a challange. Langenbruch Anna. „Der ‚wandernde Speicher‘: Erinnerungsräume des Exils.“ In: A. Kreutziger-Herr et al. (Hg.) Wege. Festschrift für Susanne Rode-Breymann, Hildesheim: Olms 2018, S. 469-482. Praeger, Ulrike. “Musikalische Migrationsgeschichten: Erzählen, Inszenieren, Aufführen und Medialisieren,“ In: Themen, Thesen Texte 07/18, Cluster Magazine of the Center of Excellence, Cultural Foundations of Social Integration, 29-33. University of Konstanz. Langenbruch Anna. „Wissensmigration: Musikwissenschaft im Pariser Exil – und was sie uns über Wissenschaftsgeschichte verrät“, In: S. Bolz, M. Kelber, I. Knoth, A. Langenbruch (Hg.) Wissenskulturen der Musikwissenschaft: Generationen, Netzwerke, Denkstrukturen (Musik und Klangkultur 16), Bielefeld: transcript 2016, S. 223-246. Praeger, Ulrike.„‘Musicking’ Children from the Bohemian Borderlands: Hidden and Nurtured Musical Practices on Both Sides of the Iron Curtain,” European Review of History: Revue europeenne d'histoire 22 (2): 310-330. Praeger Ulrike. „Music,” In: Bill Niven, Maren Röger, and Stephan Scholz (Hg.) Handbook. Media and Practices of Remembering Flight and Expulsion. 283-295. Frankfurt and New York: Campus Verlag. Langenbruch, Anna. Topographien musikalischen Handelns im Pariser Exil. Eine Histoire croisée des Exils deutschsprachiger Musikerinnen und Musiker in Paris 1933-1939, Hildesheim: Olms 2014. Langenbruch, Anna. „‚Die Stadt ist sehr groß und voll von Herrlichkeiten‘. Paris als Mythos und Metropole des Musik-Exils“, in: A. Eichhorn (Hg. ): Kurt Weill und Frankreich(Veröffentlichungen der Kurt-Weill-Gesellschaft Dessau 9), Münster: Waxmann 2014, S. 115-132. Langenbruch, Anna. „‚Schallplatten emigrierter Künstler bevorzugt‘. Medium, Materialität und Musikexil.“ In: D. Bischoff und J. Schlör (Hg. )Dinge des Exils(EXILFORSCHUNG: Ein internationales Jahrbuch 31), München: Ed. Text + Kritik 2013, S. 103-118. Langenbruch, Anna. „Medium Kampflied. Kulturtransfer im Pariser Exil am Beispiel der Kampflieder von Paul Arma.“ In: M. Fischer und F. Hörner (Hg.) Deutsch-französische Musiktransfers(Lied und populäre Kultur 57), Münster: Waxmann, S. 143-159. Praeger, Ulrike. 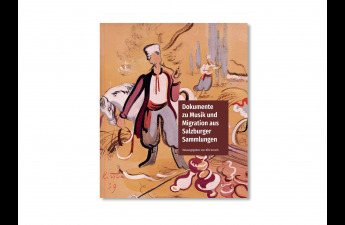 “Longing for Belonging in Forced Migration: Musical Recollections of Germans from the Bohemian Lands.” In: Magdalena Waligorska (Hg.) Music and Belonging. Articulations of the Self and the Other in the Musical Realm. 157-174. Cambridge: Cambridge Scholars Publishing. Chatterjee, Sandra. “Post-migrantisch? Nomadisch? Hapa? Was für eine Erfahrung …?!’”. In: Urmila Goel, Jose Punnamparambil und Nisa Punammparambil-Wolf (Hg.) InderKinder. Über das Aufwachsen und Leben in Deutschland.Heidelberg: Draupadi Verlag: 200-210.